Boston Serious Injury Lawyer | Joel H. Schwartz, P.C. When you or a family member is stricken by a serious injury, your entire life can change for the worse. Income stops due to an inability to work and bills pile up. Medical expenses from specialists and ongoing treatments leave you in massive debt. And then you’re dealing with the physical and emotional pain of the accident. Family members are sometimes installed as lifelong caregivers, changing the course of their lives permanently. Adding legal hurdles to the mix may be the last thing you want to think of right now, but in reality, a Boston serious injury lawyer from Joel H. Schwartz, PC can help you sort through difficult details and get you the compensation you need for proper care. A serious injury is any injury that compromises a major system of the body and causes mental or physical impairment for an extended period of time. In short, severe damage to or loss of bodily functions, vital systems, or body parts all qualify as serious injuries. Since the nerves in your spine help control all major functions in the body, damage to this area can be profound. Full or partial paralysis is possible in the most severe spine injuries, but any back injury can permanently decrease your quality of life. Serious changes to your life and modifications to your home may have to be made when you lose an arm or a leg. Ongoing treatments are a must, and avoiding secondary problems like infection are vital. The psychological effects of feeling a “phantom limb” can be treated by seeing a specialist, and rehabilitation is needed to adjust to doing daily tasks in new ways. There can be excruciating pain that must be dealt with as well. Your Boston serious injury lawyer will make sure all of these damages are factored into your settlement. Scarring and disfigurement, surgery, and ongoing treatment are a few of the challenges of serious burns. Muscles and bones may be affected in third-degree burns, as well as breathing problems resulting from high heat and smoke inhalation. Traumatic brain injury is unfortunately common in traffic accidents, workplace injuries, and slip-and-fall accidents. Emotional, physical, and cognitive complications can be caused by a blow to the head and resulting brain injury. Communication, processing, damage to the five senses, and mood disorders are some possible and unfortunate effects. Blunt-force trauma can permanently damage sections of the brain responsible for speech or movement, and it can also lead to depression and other emotional disorders. Your Boston serious injury lawyer will include the possibility of these long-term complications in his or her plan to seek compensation. Any sort of violent impact to internal organs can damage or destroy them. Although internal damage can happen without initial symptoms, sometimes abdominal pain, lightheadedness, and fatigue could manifest as symptoms later. A Boston serious injury lawyer from our firm will understand the long-term financial impact of your accident-related injuries and can fight to make sure you get proper compensation for what you’ve endured. This includes factoring in caregivers; the cost of counseling, surgery, and therapy; lost wages and income; and personal damages to your emotions, relationships, and quality of life. These injuries may worsen over time or have secondary effects, such as nerve damage causing you to burn your limbs since you can no longer feel hot or cold. A head injury can later lead to loss of sight. A Boston serious injury lawyer from our office will understand how to factor in potential challenges that may come years down the line. If your quality of life is going to suffer, you deserve to be monetarily compensated for it. If your accident happened because of something someone else did or failed to do, this is called negligence, and the at-fault party is therefore liable for your injury. By choosing the right lawyer, you can not only seek compensation for your hardship, but your Boston serious injury lawyer can help calculate all of your related expenses for the future. 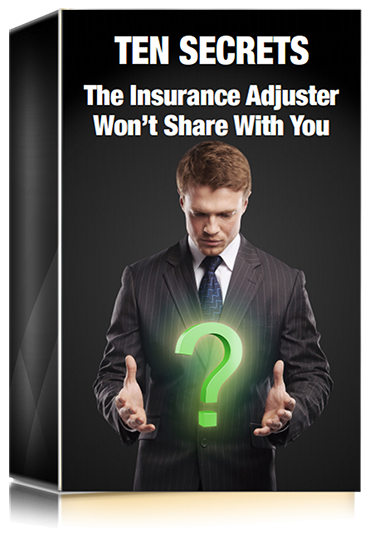 Your life could be altered by your injury forever, and it was not your fault. While nothing can take you back to the time before the accident, we can help you move forward and adjust to your new challenges. Consult the Law Offices of Joel H. Schwartz today to learn how we can help. Call us toll-free at 1-800-660-2270 or contact us by completing the form below. You consultation is free and carries no obligation, so there’s no risk in discussing your case with us.